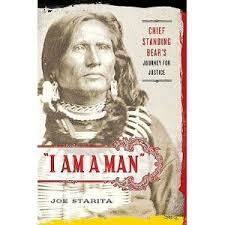 Native American Traditional Gender Roles Research Papers delve into original tribal life for men and women. Native American Traditional Gender Roles research paper due and don’t know how to start it? How about like this? While it is apparent that some research is currently available on the Native American Traditional Gender Roles of the roles that both men and women served in Native American culture, much of what can be ascertained about daily life for the Native American comes from the accounts of Natives themselves. In short, there is a paucity of secondary literature that comprehensively explicates what daily life was like for both men and women. As such, this part of the investigation considers first hand descriptions of tribal life as recounted by the Natives themselves. Considering first the role of men in Native society, one needs only to compare the childhoods of Pretty Shield, a medicine woman of the Crows, and Black Elk, an Indian tribal chief. Looking first at Black Elk’s account of his boyhood, it can be effectively argued that Black Elk was raised as a stereotypical boy. Adhering to much of the same Western ideas associated with rearing a young boy Black Elk reports that between the ages of nine and ten he typically when hunting for bison, helped his father butcher animals and played with other boys his age. Comparing this to how Pretty Shield was reared, it is apparent that she too was raised commensurate with the Western ideals of girlhood. Pretty Shield recounts her favorite memory of childhood: her relationship with her aunt and her desire to be just like her. According to Pretty Shield, she had a doll that she carried on her back, just like a real baby. When the tribe moved its camp, Pretty Shield would pitch a tent for her doll and shelter it much in the same way that her aunt would. Placing these two stories within the context of one another, it is apparent that both boys and girls were socialized to have different responsibilities and roles within in Native culture. Men were warriors and providers, while women were mothers, nurturers and keepers of the homestead. What is interesting about these roles is that their seemed to mind their position within the hierarchy of the tribal system. Because a collective spirit drove Native society, both men and women felt that they had a duty to adhere to their responsibilities and an obligation to fulfill their roles for the larger good of society. Chumash Indians - Chumash Indians Research Papers discuss these group of Indians background, and where they originated. How Native American Gender Roles have Evolved Research Paper discusses the updated gender roles. Black Elk Speaks - Black Elk Speaks Research Papers look at a book about the life of an Oglala Sioux Indian. History of Gender Roles Research Papers examine the evolution of gender roles in America over the past century. Paper Masters writes custom research papers on Native American Traditional Gender Roles and delve into original tribal life for men and women.